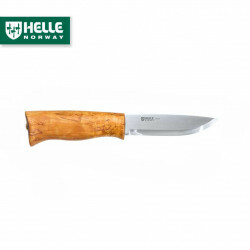 All-round mes - The Helle Ulven (Wolf) is an all-round or hunting style knife. 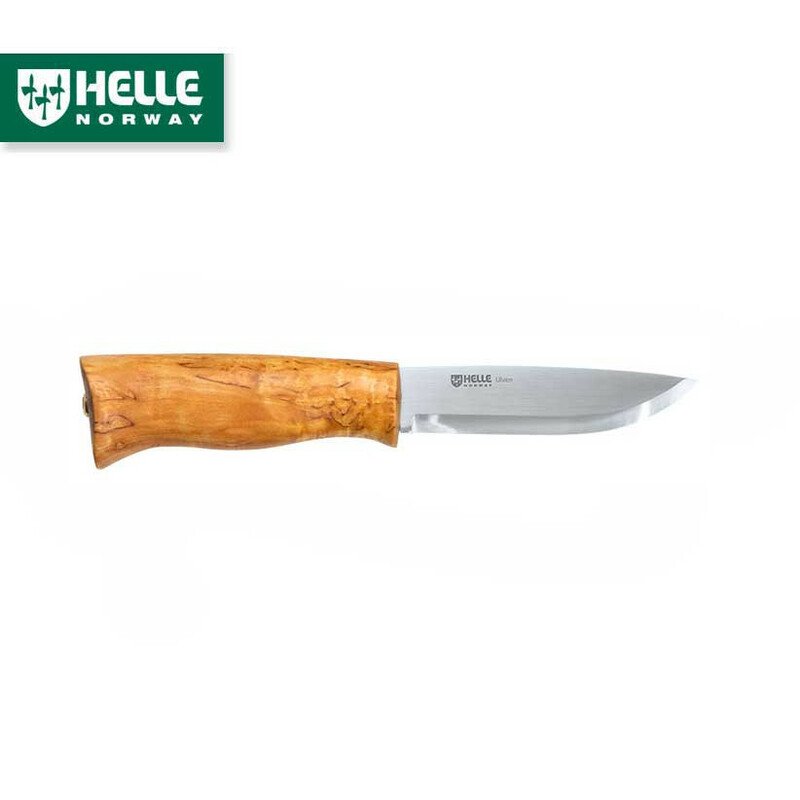 Laminated stainless steel blade with a handle suited for medium to larger hands. It comes with a black leather pouch sheath that hangs from a thong for comfort when sitting or bending. The handle is curly birch with an antler inserts. It is sized for average or slightly larger hands. It comes with the traditional pouch style sheath. 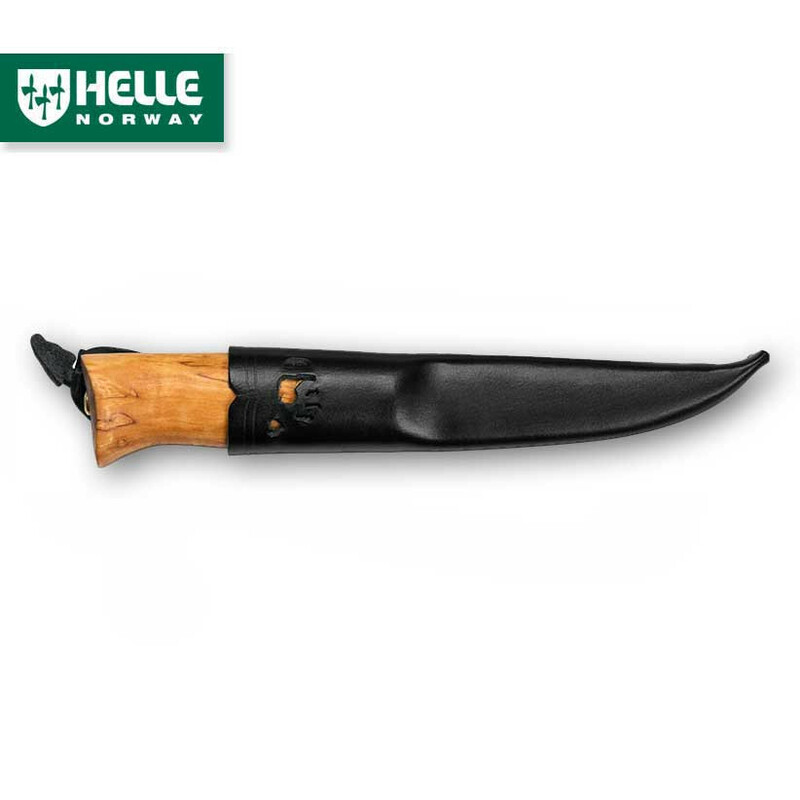 Helle Knives - There are no shortcuts to perfection from QVIST Outdoor Cooking on Vimeo. 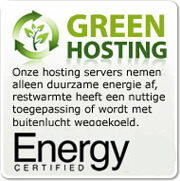 Download het infoblad van dit mes.